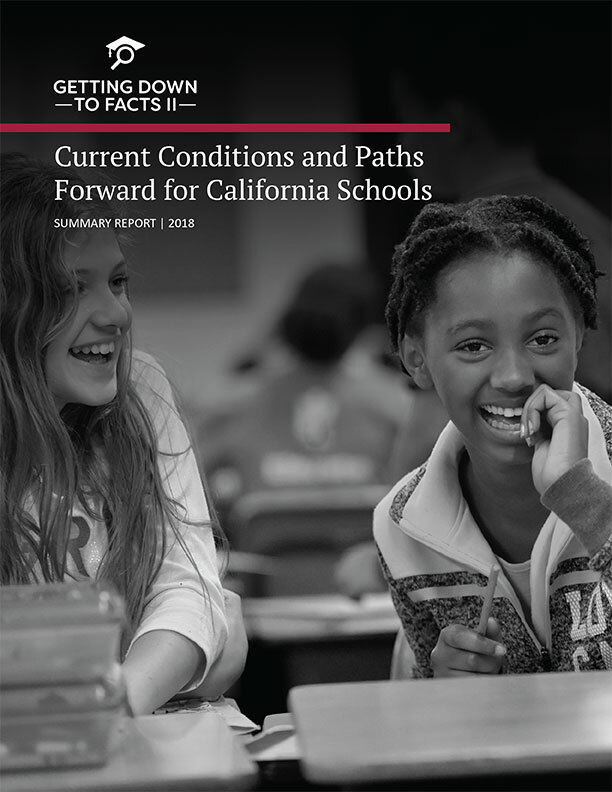 California’s education system has seen substantial policy shifts over the past decade potentially benefiting the state’s 6.2 million students. Getting Down To Facts II (GDTF II) is an in-depth research report that serves as a “state of the state,” with the goal of providing a common set of facts to inform discussions and education policy development going forward. California’s education system is moving in the right direction but is still in need of capacity building to support a decade of reforms. Over the past decade a multitude of reforms have resulted in some improvement. But, the system still must ensure that educators and other practitioners have the skills, information and materials they need to put major reforms more fully into practice. Large achievement gaps persist in California by race, ethnicity, income, and English learner (EL) status. California’s children are behind before they enter Kindergarten. The system needs a continued focus on closing achievement gaps through multiple approaches including enhanced early childhood education. Funding levels remain short of adequate for schools in California given the goals of state policies. Untouched critical funding issues could destabilize the system. Pensions, special education, and facilities each have the potential to worsen inequities if not addressed. California produces very little information on what makes an excellent education for its own students. Despite investments in data systems in California, the state still falls short of what other states have developed.